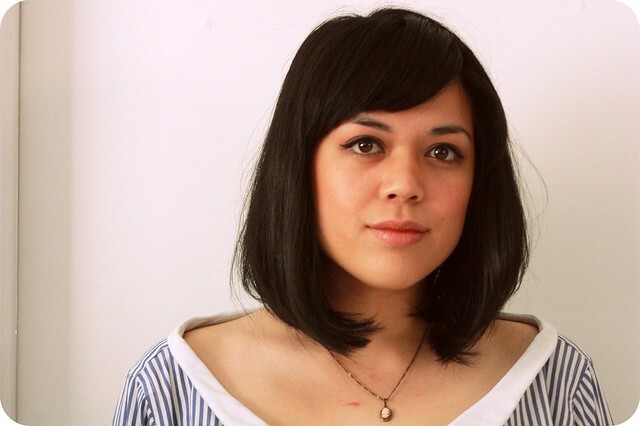 Pretty awesome news and something fun for you guys: Cut Out + Keep named me their latest DIY Fashionista (yay!) 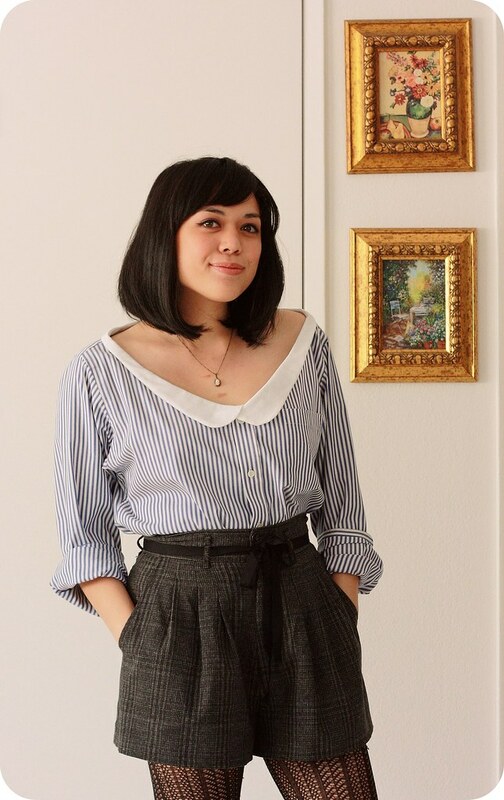 and asked me to share a fashion-based tutorial (this has actually been in the making for a while, hence my shorter hair in the photos). 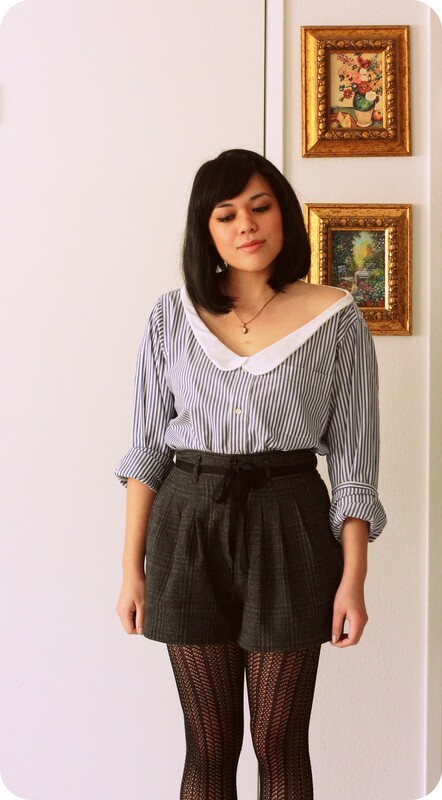 I immediately knew what I wanted to write about: a recent personal project where I DIYed a Peter Pan collar onto a thrifted mens shirt! 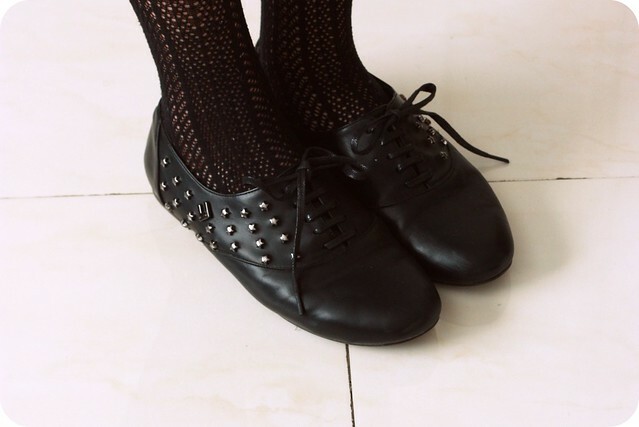 I'm a crafter at heart and am always looking for inventive ways to personalize my wardrobe. A while ago, I saw a very cute (but rather expensive) shirt and realized I could make a similar version myself. And it was actually pretty easy! The inspiration? A gorgeous menswear-inspired button-down shirt with a pointed collar by ADDA (I think it retailed for around $100). So I bought a couple of men's button-down shirts from Goodwill and a fabric remnant from JoAnn's and got to work. 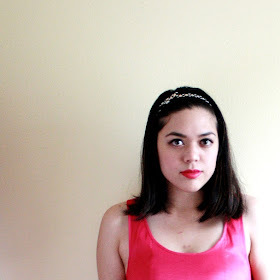 Here's a peek, followed by the rest of my outfit photos. 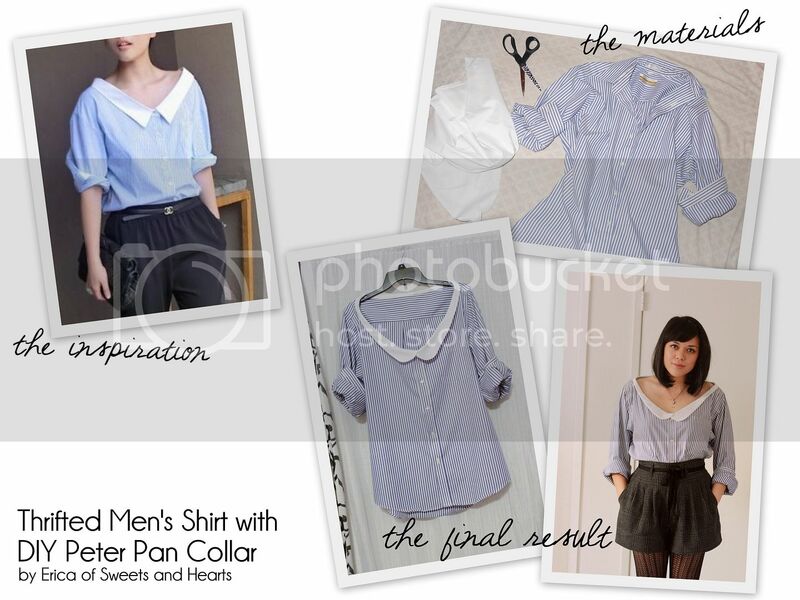 and learn how to DIY a Peter Pan collar onto a mens shirt here!